« Do Hummingbirds Count as Wildlife? Mom has been in a quandary over cat treats for a while now. Store bought treats are very expensive (pound for pound) and have so many chemicals and other bad things in them. They are full of carbohydrates because that is what holds them together. As an obligate carnivore (that means we only eat meat), my body doesn’t handle carbohydrates well. So what about homemade cat treats? At least that way, she knows exactly what’s in them. Periodically, she’ll do a search for recipes looking for the perfect one, and when she sees one on Pinterest, she adds it to her treat recipe board. But even most homemade treats have lots of carbohydrates in them. 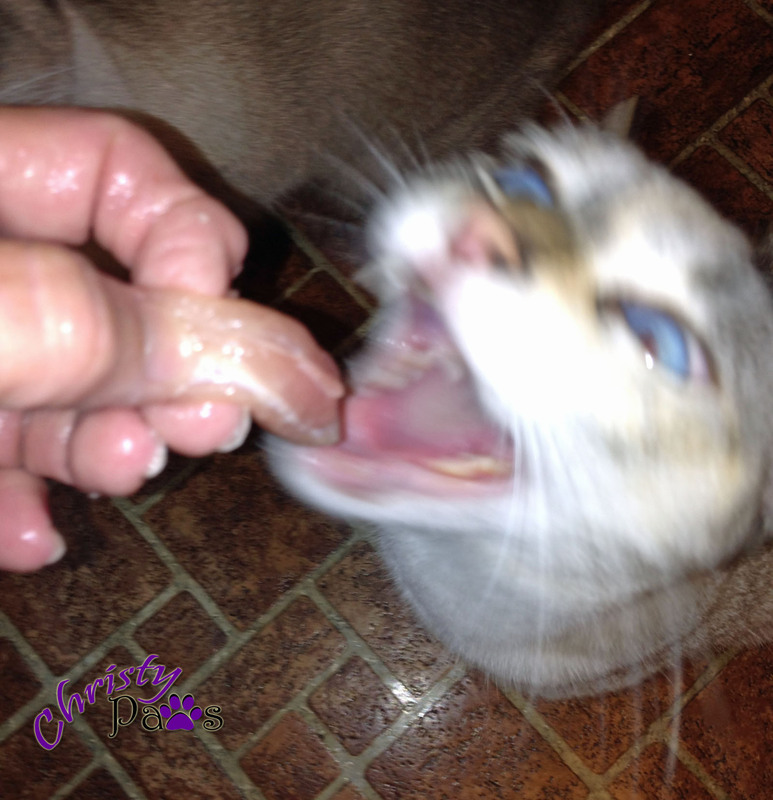 Raw chicken is our favorite cat treat! Mom feeds us only raw food, or an occasional meal of grain-free canned food if she runs out of raw. We don’t get dry food at all. Besides the fact that dry food contains so many bad things, all pet food recalls have been for dry food or treats. Think about that one. Here’s the dilemma. What is a treat? Should it be good for you or just good? Human treats are usually things that are not that good for them. Even if they are on a “healthy” diet, they treat themselves with sweets or other things they probably shouldn’t be eating. Does that apply to us cats? Is there such a thing as a healthy treat? Or, are treats something that are not that good for us but that we like a lot? So, what’s a mom to do? Treat or no treat? Mom has decided to try some freeze dried treats that are nothing other than the meat itself, freeze dried. No preservatives and no additives. She has ordered some for us and we’ll let you know how we like them. Frankly, I don’t think they sound all that appetizing. What do you get for treats? Tagged cat, cat treats, dry food, kitten, raw food. Bookmark the permalink. 16 Responses to Treat or no Treat? Marty gets salmon jerky, occasional greenies for cats and I hate to say it but little jacks that I give the Puffs because he thinks they are the bomb. Ralphie gets some cottage cheese when he asks for it. Nope, no treats over here. None at all. Mommy muttered something about “bad habits”. MOL! Truffles is a total treat junkie and gets some everyday. She’s not a big eater and her weight is just fine, luckily. 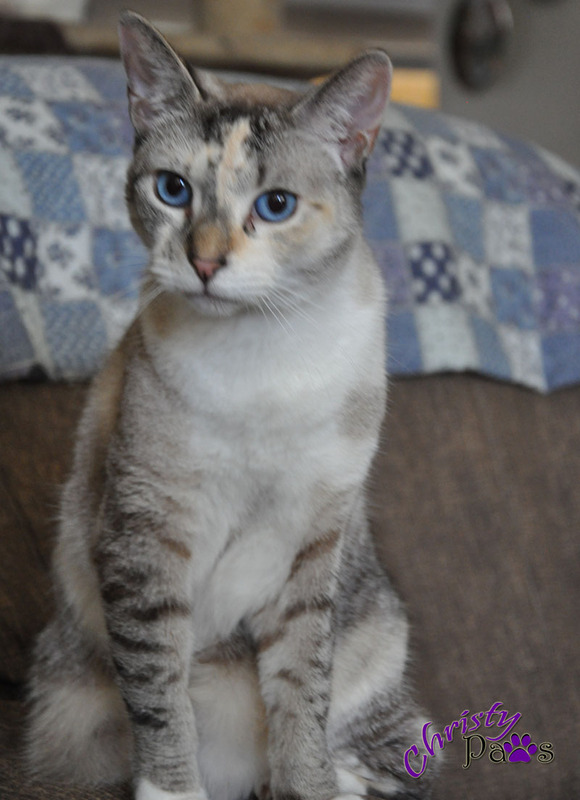 She loves Temptations, but also loves healthier grain-free treats like Wellness Kittles. I wish she liked freeze-dried treats but she’s not a really a fan of those. We get treats in moderation. The mom says that like with humans, a treat now and then is okay. Treats can be yummy, and good for you. I don’t eat many treats because I’m selective about what I eat but I get an occasional piece of chicken (cooked). I know a lot of kitties like freeze dried treats – either organ meats, shrimp, or fish flakes. Our Mommy blanches chikkun breasts, slices ’em thin, and dehydrates them. Delicious and crunchy, too. Mom said for me to ask if your mom uses a dehydrator or just the oven. She has thought about doing her own dehydrated treats but doesn’t have a dehydrator. We don’t get many treats here. When we do they are usually grain free ones that are moist. Our mom has been wondering the same thing about the treats – since human treats are usually bad but taste delicious, is it okay for us cats to have treats like that too? She hasn’t made up her mind yet. We get a lot of treats, but most of them are pretty healthy. And the head peep is mindful of the calories in the treats and it impacts the amount of other food we get. We don’t think that is very fair, actually, but good help is hard to find. We don’t get a lot of treats either. Sometimes the mom gives us the dry food that we eat sometimes (yeah, we get a little bit of kibble) as our treat. One treat that we really like is the Liv-a-Little freeze-dried chicken treats from Halo. Ow favowit tweats be da fweeze dwied chicken bweast. They be nuffin’ but chicken. They come in lots of flavors, and awe a bit spensive, but da chunks be big nuff to split and only giv us a chunk or 2 at a time, so da bag lasts ’bout 2 munffs. Weez get da Bravo ones fwum Chewy. But there awe lots of bwands out there. Good Luck. We are vetting less and less in the way of treats, mostly freeze dried one ingredient things these days.